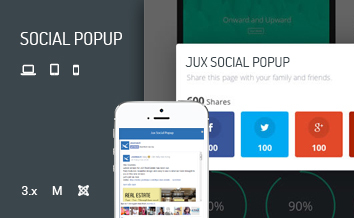 JUX News ticker is a highly versatile Joomla Module that helps putting up notification on your website with multiple stunning styles at different positions. 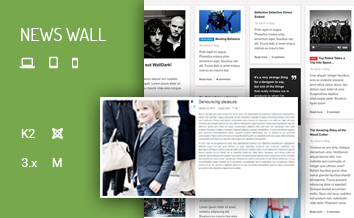 Joomla News Ticker offers 3 basic effects which are scroll, type, slides. Each effect will bring different user interface with fresh and new look. 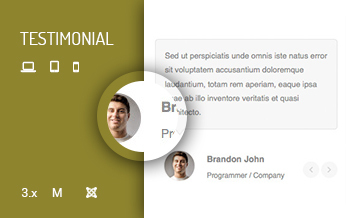 Moreover, you also can allow your ticker display in different positions on your site such as top, static or bottom. It all depending on your website layout design. 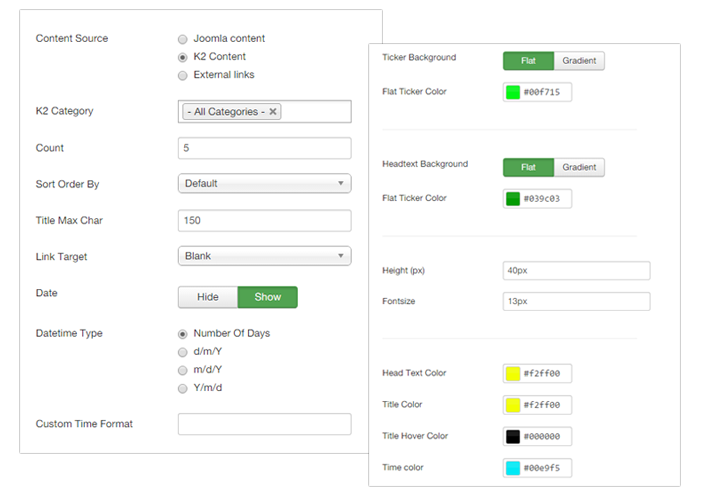 You can easily styling for your news module joomla by select the color you like from color picker to ornament background color, head text color, title color, etc. Flat and gradient are both available for you to choose. Not only its color, you also can change height or font size for your news ticker to match with your site's style. 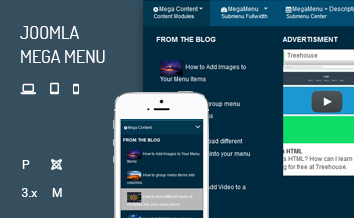 You can choose to retrieve sources from K2 content, Joomla content – the most popular content management system. 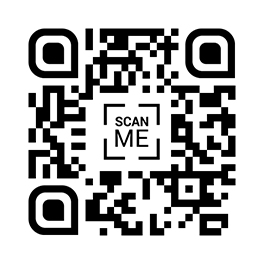 If you want to use external link, just insert the link you want and add title for it. All option types are displayed in different tab and very well manage, therefore it really easy for you to view and control all option in admin area. Easily style: change color, height, font size. 3 effects available: type, scroll, slide.